An hour east of Seoul, Byoung Soo Cho’s ‘Earth House’ explores notions of positive and negative space. 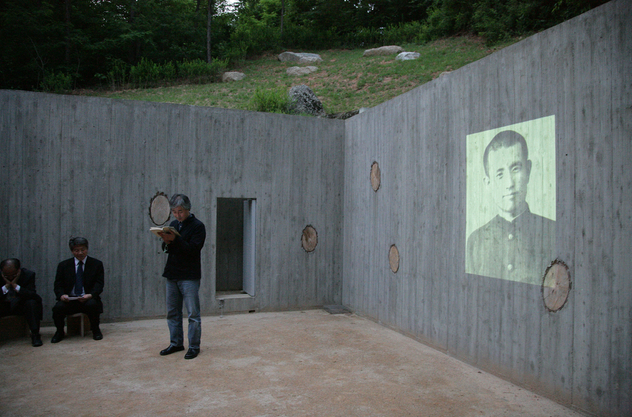 The subterranean home was built in honour of Korean poet Yoon Dong-joo, who was arrested as an ‘intellectual criminal’ during the Japanese occupation. Yoon’s death while imprisoned lent poignance to his posthumously published collection of poems ‘The Heavens, the Wind, the Stars & Poetry’. The house is a subtle celebration of nature. 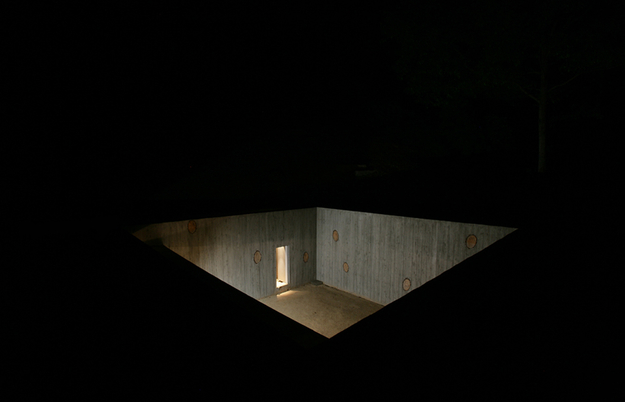 An open courtyard of equivalent volume to the six small, enclosed rooms receives the sky and balances the whole. 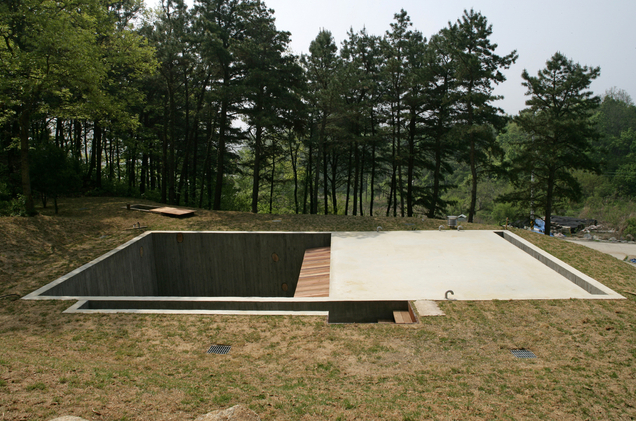 Rammed earth floors and interior walls make use of the soil displaced by excavation. Slices of a pine tree cut down during construction are embedded in the courtyard’s concrete walls. Cho has described the house as a place for self-reflection and stargazing. The comment put me in mind of Murakami’s ‘The Wind Up Bird Chronicle’, a novel that meditates partially on Japan’s role in WWII and the nation’s suppression of painful wartime memories. The main protagonist climbs into a disused well and experiences sanctuary, confusion, estrangement and ‘time undivided and unmeasured’. More vividly for me, sitting at the bottom of the well he discovers how clearly he can see the stars – even during daylight. Beautiful space and photos, it would be interesting to see a section!